Social security system occurrence appeared in the south when British occupation issued a law no. 10 for the year 1963 to regulate retirement bonuses to servants of the Arab Union government . after independence law no. 23 for the year 1968 was issued for workers' service and award. In the north, under Imama reign financial allocations were disbursed known as handouts or life supporting. After revolution, social security system occurred when law no 13. For the year 1972 was issued for pensions and retirement awards for government civil servants. Pensions and service end award law no. 4 , 1975 for Civil servants in the south. Leadership counsel resolutions no. 19 for the year 1978 for pensions and retirement awards for government civil servants. Leadership counsel resolution no. 70 for the year 1977 to define salaries of president of Leadership Counsel , Prime Minister , Ministers ,Vice Ministers , and whose in such similar grades. Law no. 28 for the year 1979 , Judiciary Authority Law, items related to pensions. Law no 20 for the year 1979 for pensions to categories stated b the leadership counsel no. 70 , for the year 1997 and its amendments. Law no 26 for the year 1982 to establish civil retirement offices and its assignments. Law no. 1 for the year 1980 for social security in the south and established social security authority in Aden assigned to apply the abovementioned law. Law no. 1 for the year 1980 for pension and retirement award for government civil servant and mix sector in the north. A after the blessed unity , law no. 25 for the year 1991 ,its bylaw was issued by a republican decree and cancelled all earlier law in the two parts. 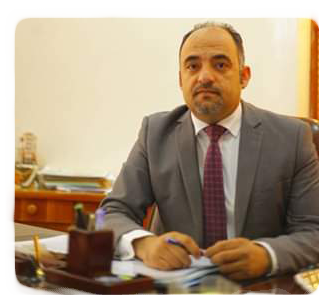 The two entities were integrated in one hierarchical structure named the General Authority for Social Security and Pensions , its chairman Social Affairs and Insurance Minister. In December 1996, a republican decree (125) was issued to integrate the GASSP , assigned to apply law no 25, 1991, and the Social Security Corporation , assigned to apply law no26,1991 and provides social security to private sector employees, in one Authority to be named The General Authority for Social Security and Pensions. Then the decree no. (249) was issued in 1996 to separate the two entities. Outset 2000m a republican decree was issued to provide retirees gross salary as pension including all allowances and defining YR 7.000 as minimum pension. In 2001, a republican decree stated GASSP be supervised by Ministry of Civil Service and Insurance and Minister as Chairman of the GASSP. In 2005 law no 43 for the year 2005 was issued for regulation of salaries and wages which provided civil servants and army personnel the minimum wage or salary. Pensioners receiving less the the minimum limit be given the minimum wage or salary that is 20.000 and to take poverty line, family budgets surveys, and inflation rate into consideration. In 2008 , an amendment to the law no, 25 for the year 1991 was made that is to amend legal retirement for women to be equal to that of men and women's right to voluntary retirement be maintained. Also , couples may keep their two pensions or salary and pension.